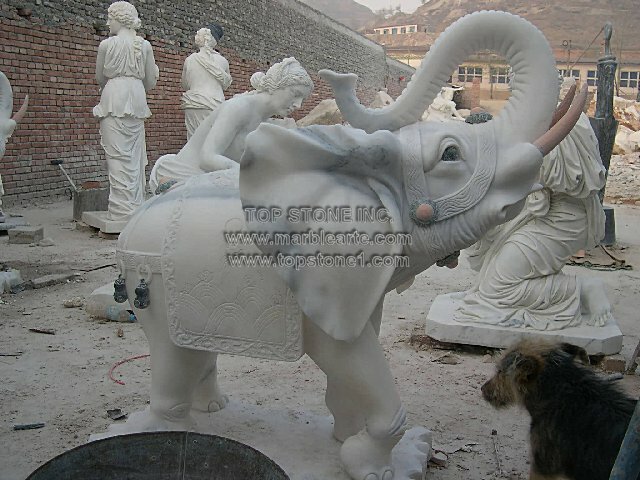 Description: TSAL077 - Trumpeting Elephant Marble Art - With a sculpture like the Trumpeting Elephant, one can never go wrong. These monuments, made of fine Italian marble, can be set up as perfect garden sculptures, or as a large garden statue. You can get these marble statues life size at the nearest sculptures for sale outlet today. Don’t let this beautiful marble arte go to waste. By buying one of these marble statues and marble sculptures, you can artistically upgrade your garden.